Welcome to the TCM blog hop! So happy to see you here! The previews have been a blast! Thank you all for the lovely visits and wonderful comments! Now it is time to move into the real festivities! Today is all about showing off the gorgeous stamp sets that were lovingly designed by some of the most talented ladies in the industry. I am of course talking about Jenny Suchin, Nina Brackett, and Kaitlyn Ord! The fabulous designers of TCM stamps. Created with a wedding congrats in mind, I used the beautiful Sew Lovely stamp and embossed in white for a sweet tag background. I added the sentiment to the paper hexagon and finished it off with a little stamped birdie from the Tweet of You stamp set...Which is simply too cute for words. Oh and I forgot to mention, the beautiful heart is also from Cayla and all the paper on this card is by MME. who is next on the hoppy list, and check out her beautiful creations! 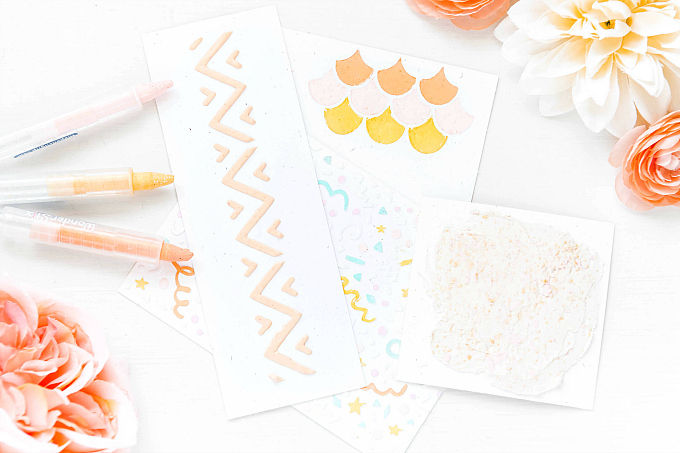 There are a total of 11 blogs to visit, and by simply leaving a comment on each of the blogs, you will be entered in for a chance to win the beautiful stamps!!! Hope you play along! Best of luck! Remember that surprise I was talking about yesterday!? 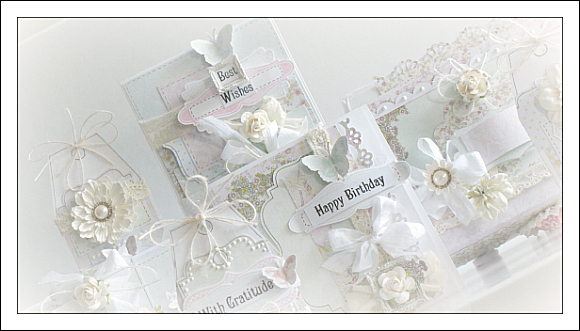 Today, TCM is officially releasing my Shabby Chic Card & Tag class kit! Check it out! I am beyond excited for the release of this kit! It is designed with a shabby look in mind, using beautiful Prima papers & flowers, lovely Melissa Frances frames, a lot of beautiful trim & ribbon, and so much more! The kit is designed like a class, so you will receive all the product you need, with full instructions ( including pictures) on how to re-create these 3 cards, 3 tags and box! For more details, visit the TCM blog here! Or you can directly find the kit here. Gorgeous card, Ivana! That kit is amazing too. Beautiful card! Love how you combined sets for this. Its elegant, and cute at the same time. Congrats on your tag kit too, those are just lovely! Gorgeous kit and who would have thought that the cute little bird could look so elegant? Love it. 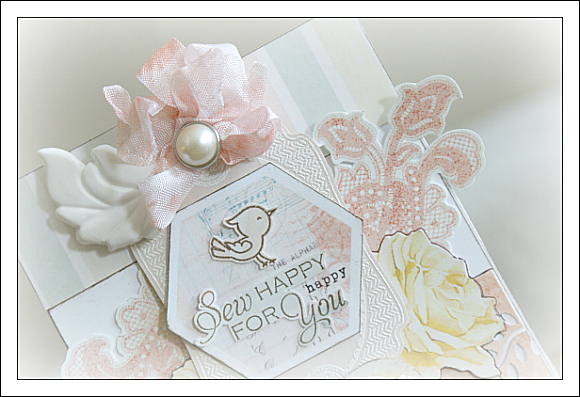 Beautiful kit and your card is gorgeous--love the little bird. First, your kit is like a gift from heaven the way the photo looks. So soft and angelic. Another beautiful card designed for today too. that card kit is simply gorgeous! your work is so beautiful! Love your sweet card too. I love the card you made! It is beautiful. Those soft colors are gorgeous and it all came together beautifully. Wonderful card! I like the soft colors you used! I ABSOLUTLY love the soft colours, beautiful!!! GORGEOUS card Ivana! LOVE that new kit, amazing! What lovely work you do! Your cards and tags are so delicate and beautiful. Oh sew pretty and white washed. Very elegant. This card is just stunning! Gorgeous soft colors. wow... that card is absolutely amazing!! LOVE the AWESOME card!! THANKS for sharing!! All the layers and the soft colors are so BEAUTIFUL!! shabby chic elegance. Love it. Beautiful and delicate card - wonderful soft colors! Congrats on putting your ideas into a beautiful kit! Your style is so soft and sweet! I love these new stamps and this kit is amazing! Beautiful card and fabulous kit. Love the delicate, feminine look of both projects. Absolutely stunning. I would never have come up with something like this with these sets! What a stunning wedding card. I love the colours you have used. I also like the hexagon you have made for the sentiment, it is brilliant. Your card is so delicately pretty: love it!! 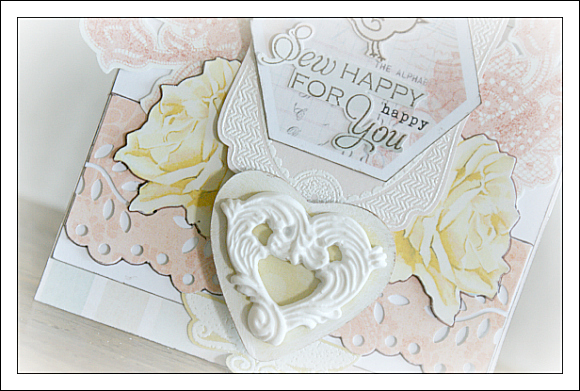 Your card creation is SO very lovely, Ivana! Beautiful ideas! Thanks for a wonderful opportunity! You have such a lovely style! It's so breathtakingly light and feminine. :) Congrats on your new kit being available at TCM. WOW, your card is absolutely STUNNING! The kit is just GORGEOUS as well! LOVING this new release...especially the Sew Lovely set! Absolutely gorgeous card and kit! Too beautiful for words! Gorgeous card~love the little birdie, Ivana! the soft muted colors are amazing. Gorgeous card!! Love that little bird!! your soft colors and sweet birdie are lovely! Your card is just beautiful. I love the soft colors. OMG, the kit is just beautiful! And I am loving the cards along the hop. Thank you for sharing your talents. Oh my gosh...these are GORGEOUS!! Love , love, love, all the beautiful details and layering. So feminine and vintage! woohoo! congrats to your kit release they are truly gorgeous. Another beautiful card using pastel colors. Love all the new release as well! gorgeous card, ivana! lovely work on your kit, too! these are absolutely stunning! I love the stamp sets and what you did with them is perfect. Just love what you do. Very beautiful. Love the soft colors. So much lovely detail. super gorgeous and congrats on the beautiful kit!!! Your card is So beautiful, and that box is amazing! I love your style..so over the top beautiful! Such a pretty and romantic color scheme! Makes me swoon! What a lovely card...thanks for sharing. That is such a Beautiful card, thank you for sharing it with us. I love the colors and softness. What a wonderful inspiration. You are so talented. Wow! What a stunning card!!!! Love it. Your cards are amazing, and the kit is just unbelievably beautiful! What a beautiful card! Congratulations on your new kit -- stunning!